The Aviko company was established over 40 years ago (in 1962) in the Netherlands as a join initiative of a group of farmers from the Achterhoek region. Since then it has evolved into an international organisation, with 7 factories in 3 European countries and sales offices in 8 countries, constituting a part of the Royal Cosun company. 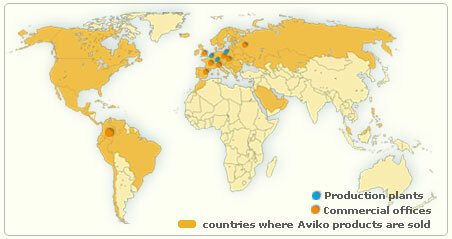 Aviko products currently reach nearly 70 countries on 5 continents! Click & read about the Aviko history and its present standing in the global and European markets to learn how to achieve success through work and perseverance. Click logotype to discover more! "One thing that cannot be denied about Aviko: in the past 50 years, Aviko has evolved from a regional company into a pan-European organisation - a cutting-edge company in its sector, a market leader in many of its markets and the world's largest manufacturer of chilled fries. While the past 50 years have not all been plain sailing for Aviko, the focus in the years ahead will be on further growth into a world-class player: the company you turn to when you are looking for a wide variety of potato products, for inspiration for a surprising menu, perhaps, and for the knowledge and ability to help you, the customer. 50 years of Aviko: A world class player!" Over 50 years of experience, intensive growth, and expansion into global markets. 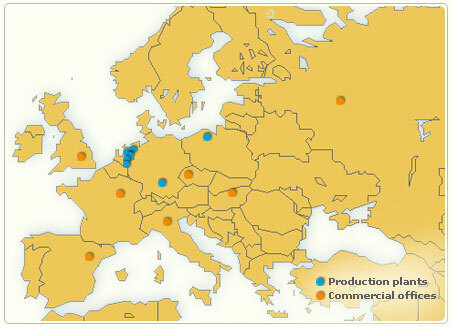 Aviko processes over 1,700,000 tonnes of potatoes per year.